There’s snow, and there’s Snow. This card was sent from the Vosges during World War One. 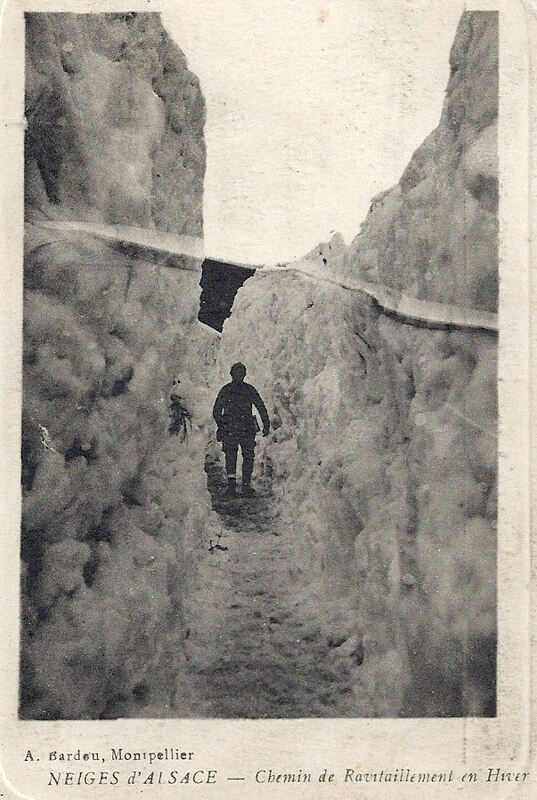 It depicts a pathway cut through the snow to enable fresh provisions to reach the troops. To show you where I am at the moment, I’m sending you this card from the region where I find myself. You see that it’s a trench. It’s more than three years since I lived inside one. Hug your godmother and Maman for me. I’m waiting for a little letter from you for Papa who loves you very much and who kisses you with all his heart. See you soon, my darling.